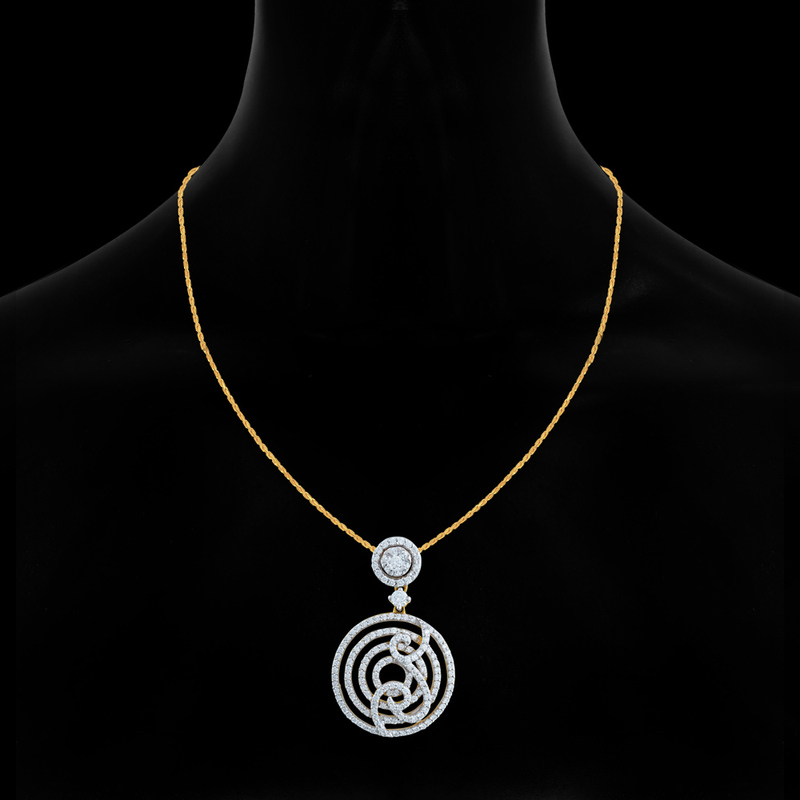 Add a hint of elegance to your attire with Looped Diamond Pendant with the latest pendant designs. Made of 18K gold dotted with 0.23CT diamond, this classy piece is festooned spirally with precious diamonds intricately to lure people with its beauty. This class apart pendant would impart that much needed suave sophistication and style to your persona.